The absolute failure of Francis to teach, articulate and defend the "indissolubility" of Catholic matrimony at the Fall Synod of bishops in Rome makes vividly clear again the "Silent Apostasy" of Francis, his adamant heresy and significant schism for the first time in 2000 years, all in one pope. 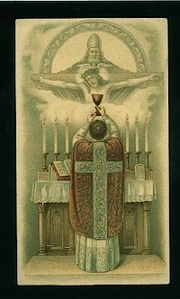 And truly all cardinals, bishops, and priests who participate in this spiritual fraud and satanical deceit of allowing divorced and remarried x catholics to receive Holy Communion while still living with their adulterous mates without an annulment are equally guilty of the sacrilege of the Sacred Body and Blood of Christ, as well as schism, just like Pope Francis. Let us be clear here, Catholic Sacramental Marriage is forever unless annulled--in its supposedly few instances-- in spite of what any pope may say, bishop, or priest in Confession or out of Confession regarding any mortal sin of adultery. Sacramental marriage is therefore "indissoluble." 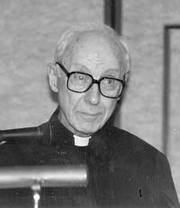 For the faithful to go along with this, they also are in schism for denying this perennial truth of the Catholic faith, namely, that all sacramental marriages are forever and to be living in adultery and frequenting any other sacraments of the Church without an annulment or until death of the partner is sacrilegious. 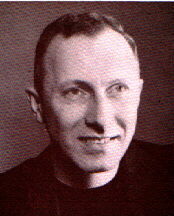 Being a jesuit Francis is too smart to outwardly deny this vital truth on the "indissolubility of marriage" in the open, but, instead via "silent apostasy" of failing to authoritatively defend, apply, protect and teach the fullness of this truth viz. the "indissolubility" and utter beauty of Holy Matrimony at the Fall Synod, Francis becomes one of the few popes of open and defiant heresy on the throne of Peter in centuries. Nor does Francis apparently care much about this heresy of "silent apostasy" either , because he is more emboldened than ever through acting not overtly but covertly, by allowing, encouraging, and promoting the sacrilegious reception of Holy Communion in an adulterous state, which is an heinous sacrilege by obviating the Church law on the "indissolubility" of all sacramental marriage and the impossibility of ever allowing this vice of adultery, but, via his papal authority he creates an exception to this law of the Council of Trent by creating a quick annulment process through simply a visit to your local bishop or parish priest and , in effect, obtaining your quick catholic divorce,or so-called annulment or whatever. What a scandal! This satanical act of a Roman Pontiff, Francis, makes the Church and its hierarchy of cardinals and bishops, and priests, as well as all so-called catholics who participate in this new "catholic divorce" or approve of it as the first players in "open schism" of the once orthodox Roman Catholic Church with itself in thousands of years! This is Francis, his papacy, and the deconstruction of the Petrine office and its authority as never before sought by a member of the upper hierarchy, so bold and so cunning and so diabolical. Nevertheless, this is Francis, always now, and his Catholic Church wherein all doctrine and the deposit of faith, will perpetually devolve, change, and clandestinely, be altered for the sake of a compromise with the world, the flesh, and the devil. 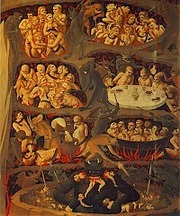 Francis is a serpent, waiting to destroy, any and everything holy about the Sacrament of Matrimony and who advocates, encourages, and promotes, by silently allowing adultery its opposite (heresy of "silent apostasy"), especially when he fails to be a traditional and obedient pope and clearly teach, define, protect, promote and defend this most holy sacrament of marriage and its "indissolubility" as all previous popes throughout history did. What a mendacity! In fact, so sacred is the sacrament of Holy Matrimony that the Most Holy Trinity Itself is so defined in marital terms by the theology of the Catholic Church for nearly 2000 years now, for the Father, the Son and the Holy Spirit are together an infinite marriage of perfect love for all eternity! It is no wonder Our Divine Lord fought vehemently with the ancient Jews for just this wicked sin of adultery which they so avidly advanced by arguing that Moses allowed divorce and remarriage: to which Christ the Divine Teacher taught them so vigorously and forthrightly, "only because of the hardness of your hearts". 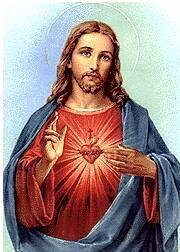 "But I say to you any man who looks even lustfully upon a woman has already committed adultery in his heart." Moreover, Our Lord condemned the whole age and times in which He lived as "a wicked and adulterous generation." Imagine what Jesus Christ, the "Divine Bridegroom" Himself would say of these times in which we live today under Pope Francis where there is no orthodox doctrine of the Roman Catholic Church under attack so wickedly by pope, cardinals, bishops, priests and people but the Holy Sacrament of Matrimony. And related to this the disgusting soft-pedaling on homosexuality and its approval in synodal discussions, the next fiasco, probably, under this apostate pope. In reality what we have today is heinous crimes against the holy sacrament of Matrimony at so-called Catholic Church Synods in which doctrines of the Church i.e. "the indissolubility of marriage" are discussed, debated, and then voted upon in a democratic process with the pope leading the discussion. In effect, Francis has now launched this protestantized feel good religion of "It's all in the vote" for the decimation of all orthodoxy and the Catholic faith will inevitably result. Francis's papacy has become a veritable reign of terror, allowing such atrocities as: accelerated Catholic divorce through a feigned annulment process, lifetime adultery with Catholic status, sacreligeous Communions for such moral reprobates living in adultery, popes perpetually living in "silent apostasy" by failing continuously to teach, articulate, and defend the Catholic faith i.e. 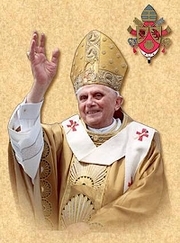 "indissolubility of marriage", a scattered flock caused by hireling priests, bishops and popes who do not defend the flock from the wolf at the door and its heresy, thus causing an adulterated catholic church in open schism with itself perpetually. God save us! 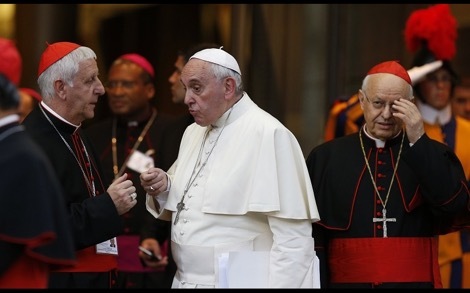 Is there no end to the reign of this heretic, apostate, schismatic pope Francis and his minions who applaud his moral corruption and spiritual profligacy--such pusullanimity of cardinals and bishops in abundance? 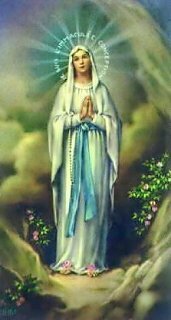 Consider how the Mother of God declared at her apparition at LaSalette, France that in the end, "Rome would lose the faith and become the seat of the anti-christ." 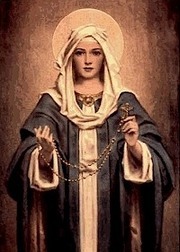 And ruminate on the truth of Mary's words at Fatima how most souls go to hell for sins of the flesh. 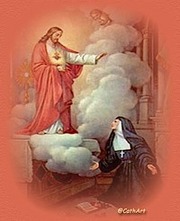 Finally, consider Christ always referred to Himself so mysteriously and mystically as the Divine Bridegroom and his Church, the Mystical Body of Christ, as His Spouse. This marriage of pure holy souls to Christ Himself is the holy teaching of the Church for 2000 years and its perennial magisterium. Not with Francis , this unorthodox, illegitimate, and unholy pope who is probably one of the wolves who will come before the end in sheep's clothing. Francis fails to follow the Good Shepherd and teach, preach, and defend the orthodox Roman Catholic faith as all popes in the recent and even distant past. Therefore, he is one of the "hirelings" our Divine Lord cursed. "For a hireling cares not for the sheep but scatters them, and runs away just before the wolf attacks." Let us hope not but the picture is very, very grim. Francis will have nothing to do with traditional Catholicism and, in fact, he is, unequivocally, at war with it as is plainly clear. Forget any notion with Francis of 'fraternal correction or admonish the sinner' as the Spiritual Works of Mercy demand. For example, in the past if an individual was involved in an adulterous relationship, he would be advised and obliged to go to Confession, repent of this egregious sin and cleanse his soul with true contrition for this most serious mortal sin. Once forgiven by a priest and at peace, he or she would be encouraged to mend any marital discord, especially of his or her own doing, and therefore help preserve and keep their sacramental bond intact of their first legitimate marriage. Thus the "indissoluble bond" of the sacrament of Matrimony was always preserved in the Catholic Church. Under every pope, prior to Pope Francis is this true! This folly of Francis must be brought to a definitive end before he and his 'new theology' and 'new catechism' totally devastate the entire Church of Jesus Christ and force it into schism with itself. 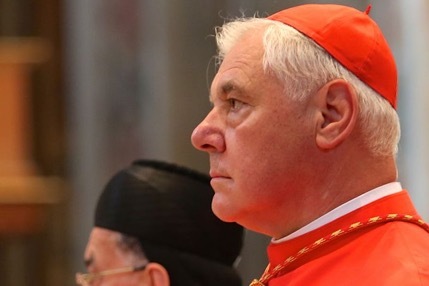 Hopefully and prayerfully, enough moral outrage from Cardinals, Bishops, and Priests, can stop Francis' "silent apostasy" by going to the Congregation of the Doctrine of the Faith and its prefect Gerald Cardinal Muller who can authoritatively bring this 'scandal of scandals' to a screeching halt by declaring Francis as the heretic, apostate, and schismatic "Bishop of Rome" that he truly is; for Gerald Cardinal Muller has already declared authoritatively before the synod that any "inconsistency between doctrine and practice is heresy in one form or another. Let this "anathema" from Gerald Cardinal Muller come forth without delay before many more thousands and millions of souls are lost forever through Francis and his "heretical" teaching. For Our Divine Lord has warned that before the end, "there will be many false prophets who will lead many astray." "May the darkness of sin and the night of heathenism vanish before the Light of the Word and the Spirit of Grace and may the Heart of Jesus live in the hearts of men, now and forever. Amen.